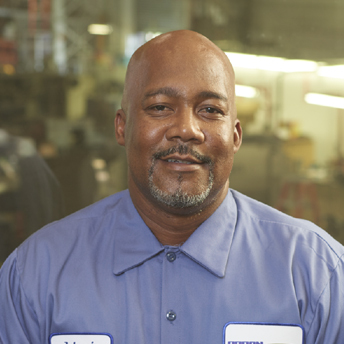 Johnnie Clanton has been employed by Aaron Equipment since 1994 and began his career as a welder and mechanic. His experience includes welding, fabricating, mechanic, crane operator, fork lift operator and lead man which have led him to his current position. He now works as AEK Packaging Equipment's Warehouse Manager. He handles inbound and outbound machinery making sure it is cleaned, test ran, tagged, prepared for photographing, and safely moved to its proper storage location. Johnnie sees to all the necessary supplies are being ordered throughout the warehouse. His day-to-day duties as manager include: receiving work orders from his manager, assigning duties to other employees to support and execute the work orders, and complete work orders in an accurate and timely manner.